To qualify for the Cross Country endorsement, the applicant has to demonstrate his or her ability to soar, to navigate effectively, and to select and fly an approach into a suitable field. The holder of the Bronze and Cross Country endorsements is a qualified glider pilot who can fly beyond gliding range of their home airfield. A certain amount of pre-work is desirable so that assessments can be undertaken soon as reasonable. Training can be tailored to meet your individual need with the assessments usually two to three flights covering all aspects of the BGA’s requirements. 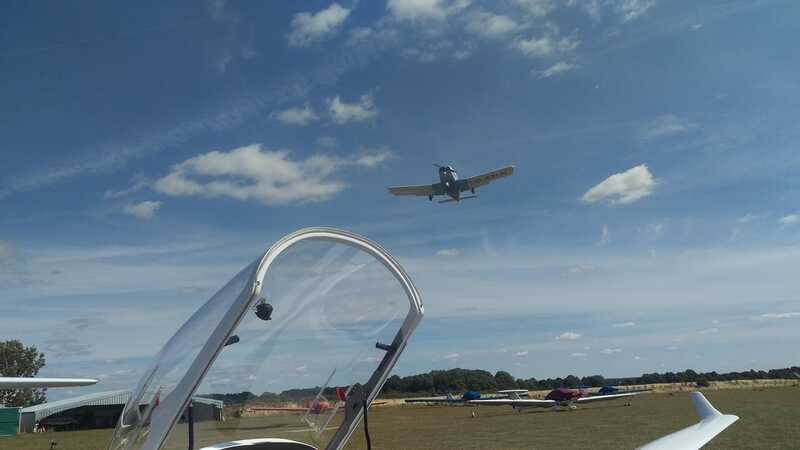 All training and tests are done in house with Oxfordshire sport flying BGA approved instructors and examiners. We have trained hundreds of pilots over the years and are particularly adept at helping you choose the right Pilots Licence for your requirements and budget. We offer a friendly, relaxed and highly supportive atmosphere to help you carry out your cross country endorsement with the minimum of fuss. For more information on a cross country endorsement please call us on 01608 677208, we’ll be delighted to be of help.